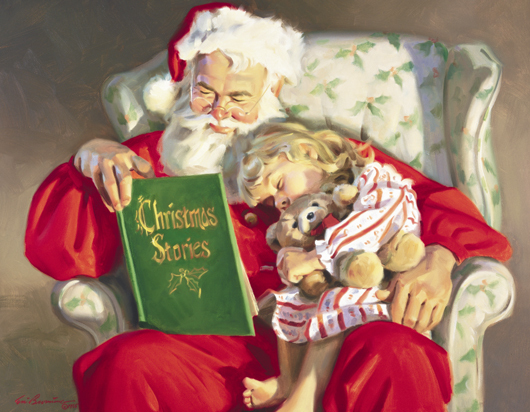 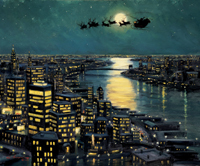 A Magical Night is from Tom Browning's new Santa Claus series Twas the Night Before Christmas. 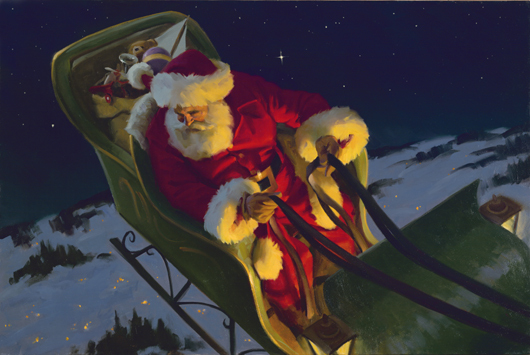 This painting and others will be release in July, 2009 for his new book Twas the Night Before Christmas. 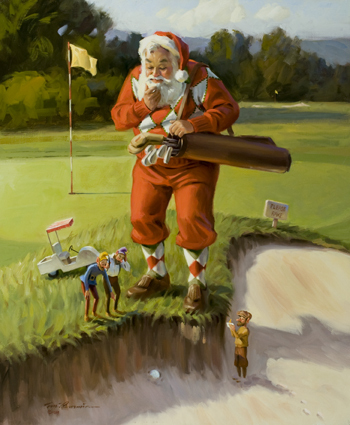 Tom will also have paper prints and giclee's of these piece available at the Tom Browning Collection. 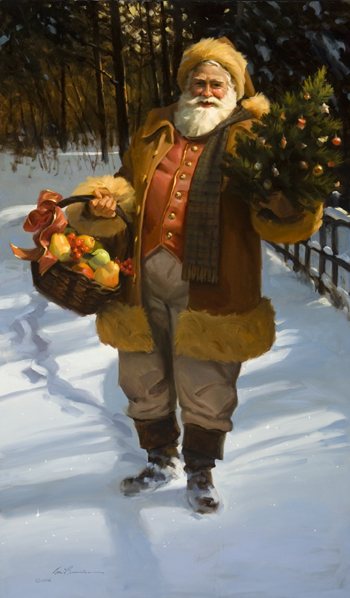 A Right Jolly Old Elf oil painting is one of the images in Tom Browning's new book titled Twas the Night Before Christmas. 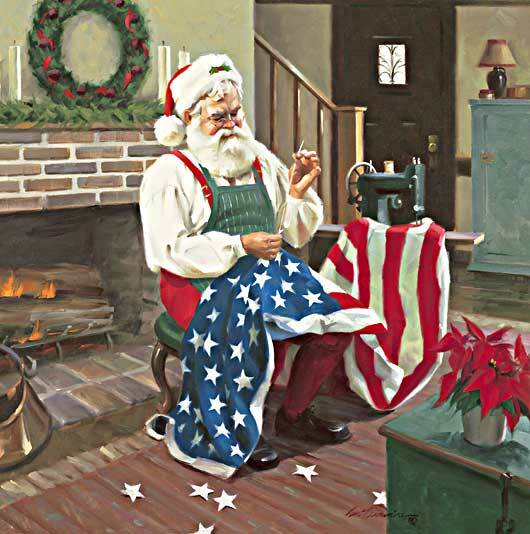 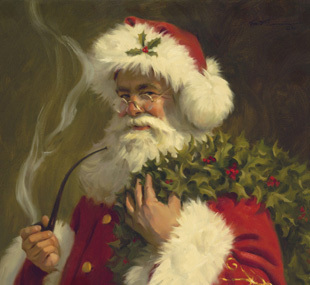 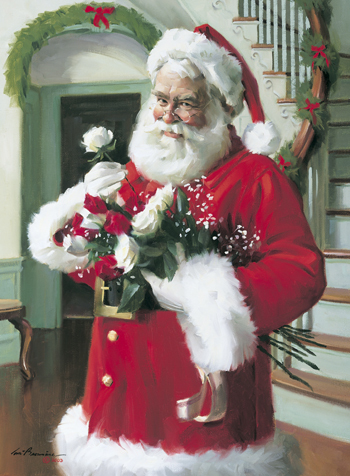 Tom also licenses his Santa Claus images to companies who produce Christmas Cards, Paper Prints, Giclee's Canvas Prints, Figurines, Plates, Mugs and Tapestries. 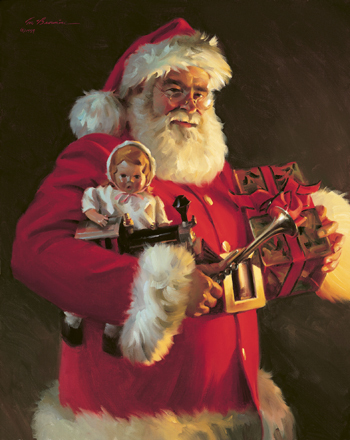 You purchase his new Santa Claus images at the Tom Browning Collection (www.thespiritofsanta.com). 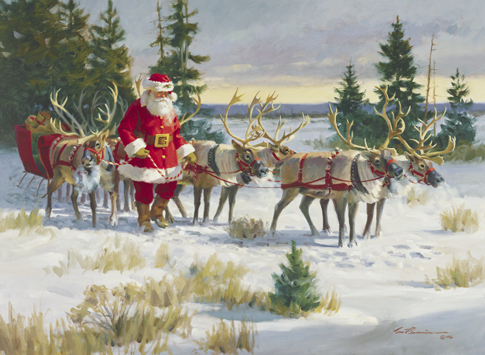 A Sleigh Full of Toys is an original oil painting by Tom Browning. 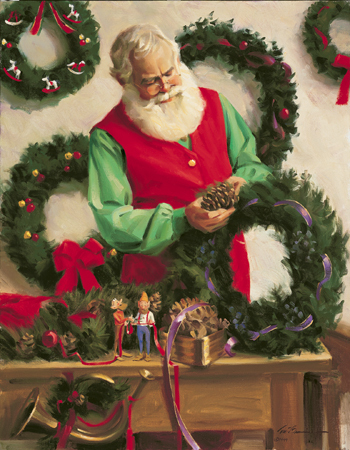 This painting was released at the Surtex Show in New York in May, 2008. 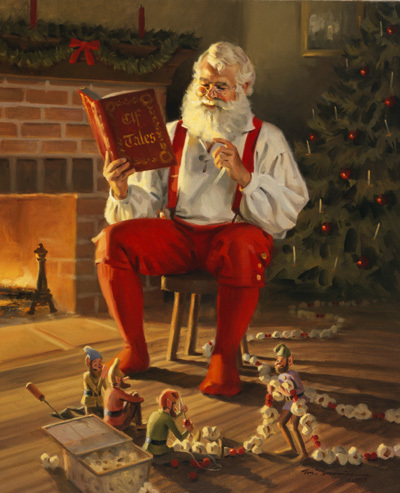 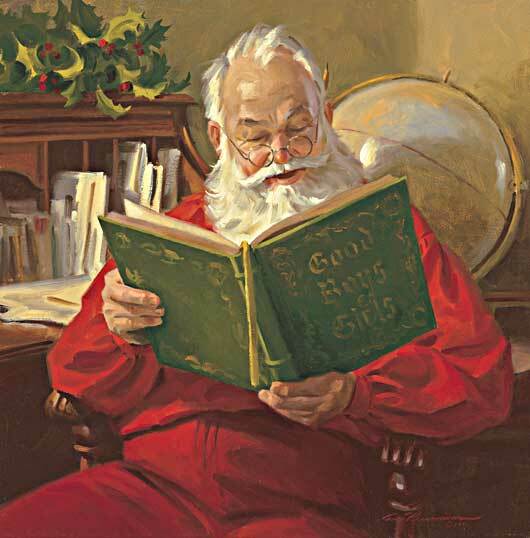 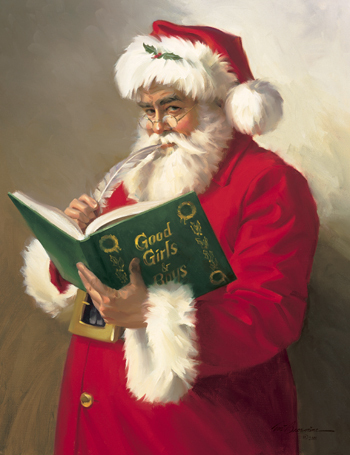 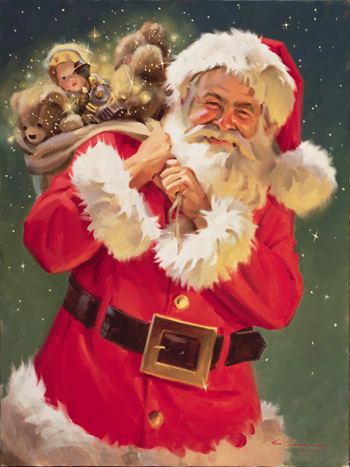 The Santa Claus painting is part of the series Twas the Night Before Christmas which will be published in his new book by Sterling Publishing in July, 2009. 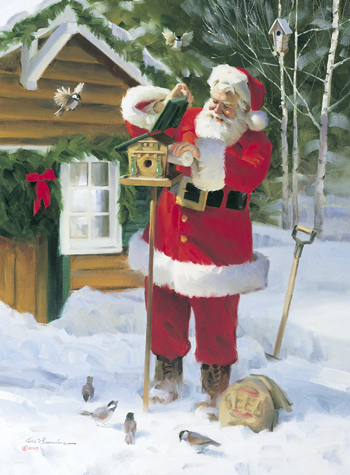 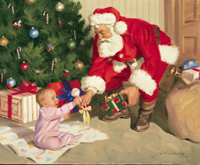 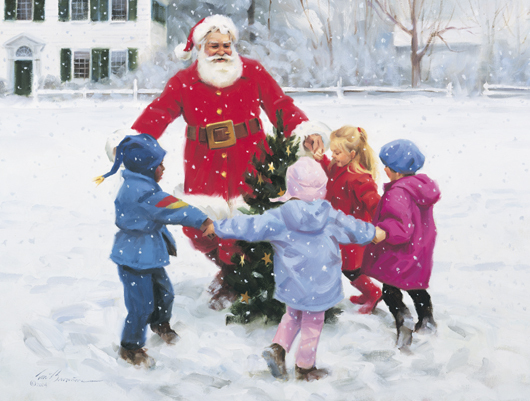 The series includes 15 Santa Claus original paintings by Tom Browning. 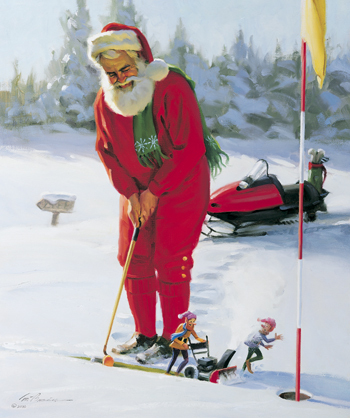 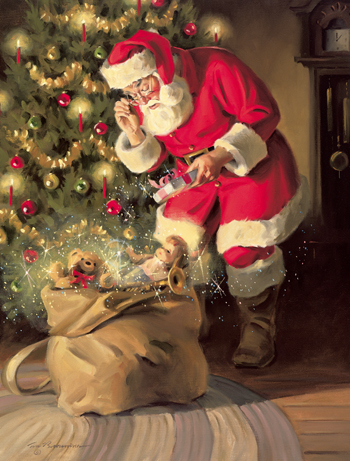 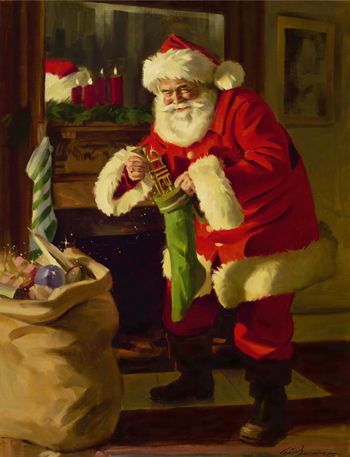 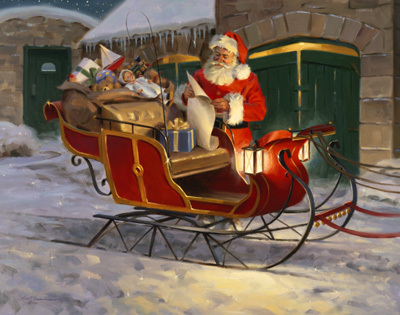 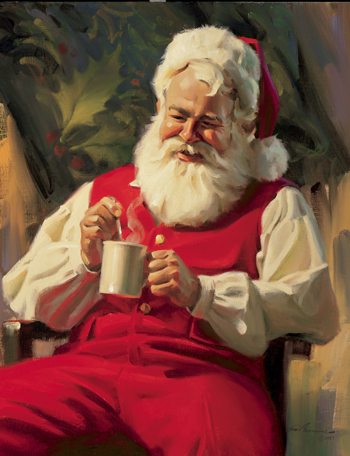 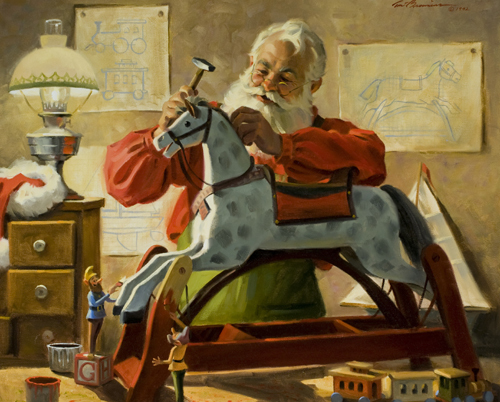 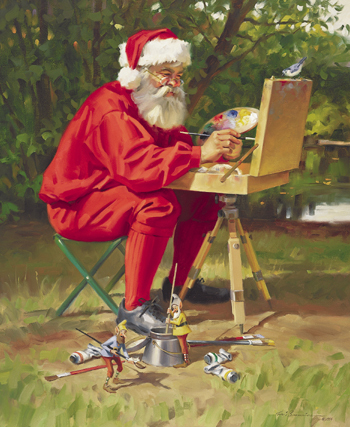 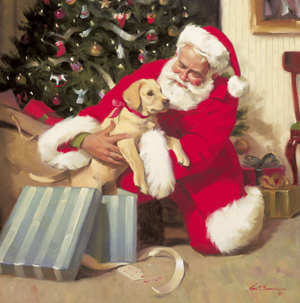 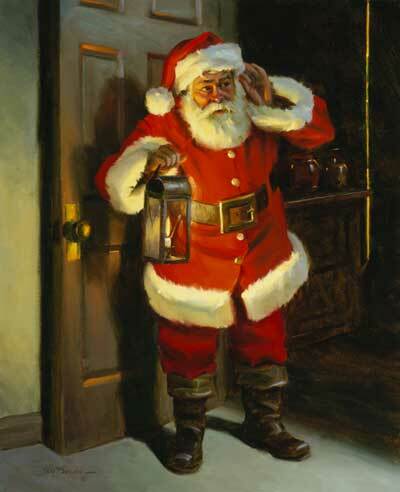 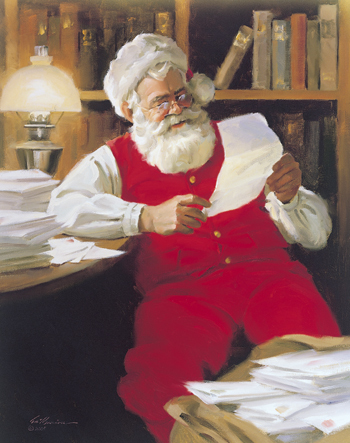 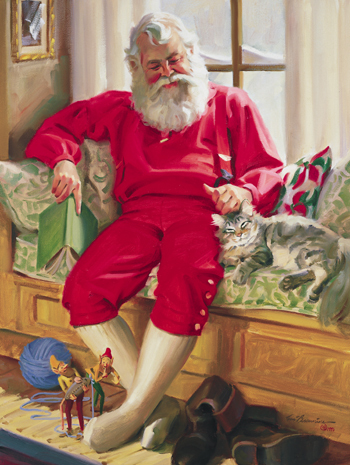 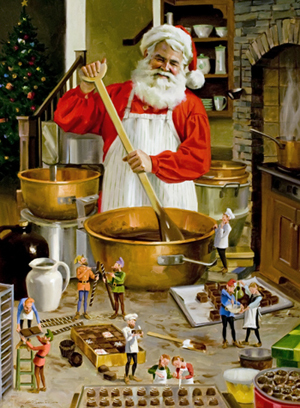 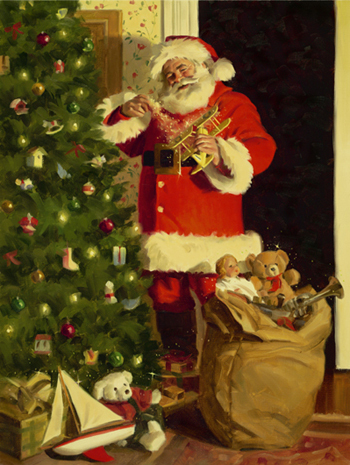 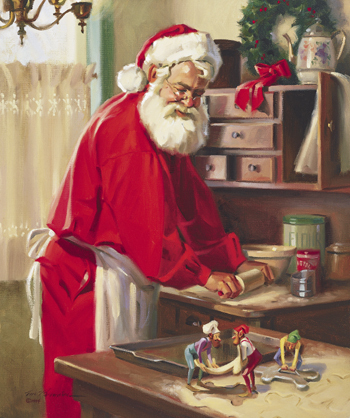 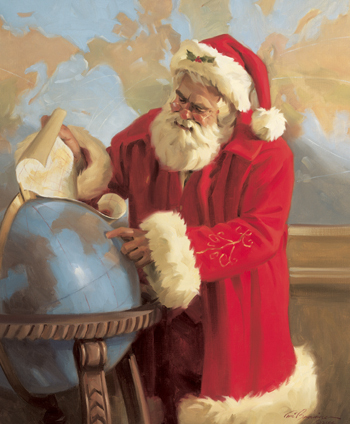 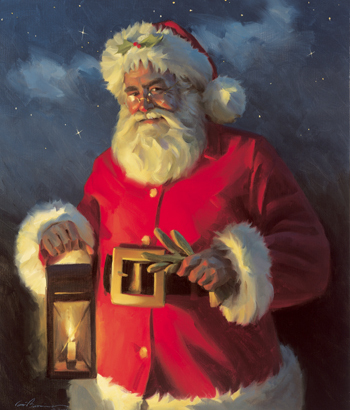 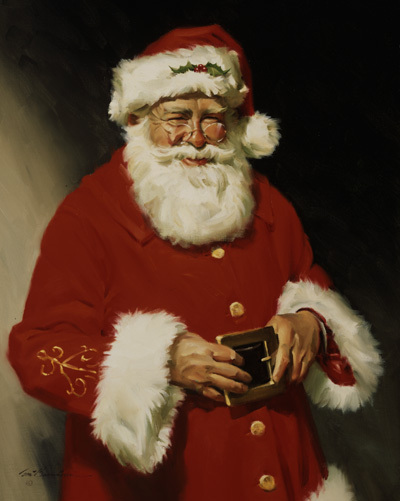 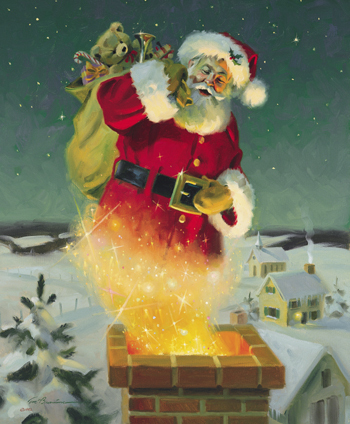 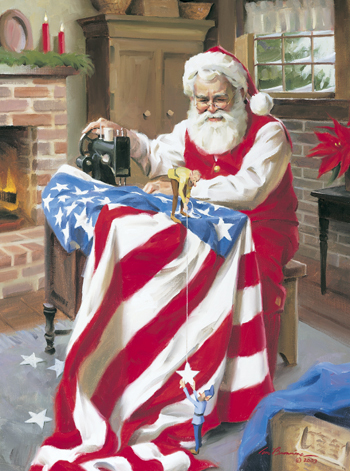 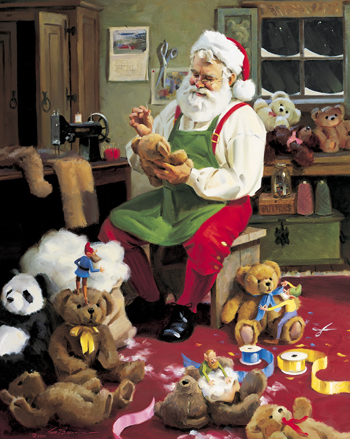 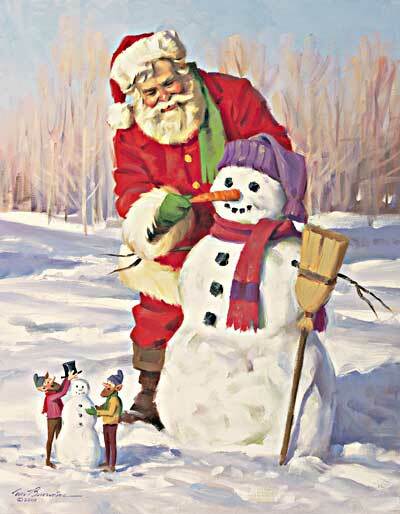 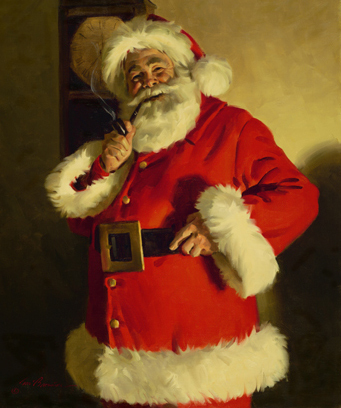 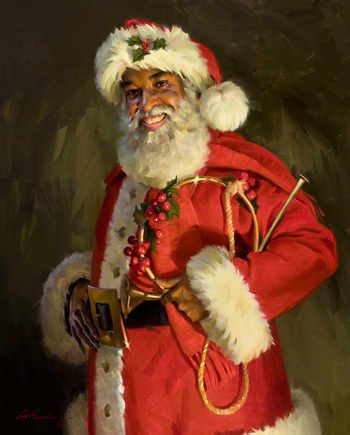 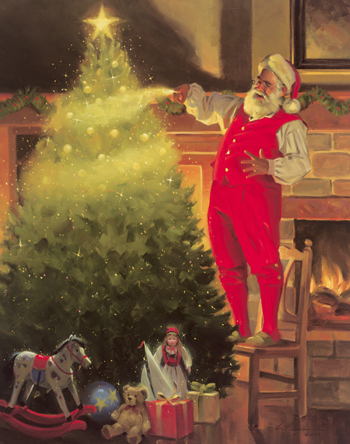 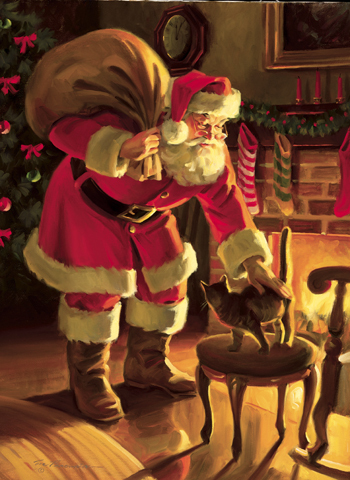 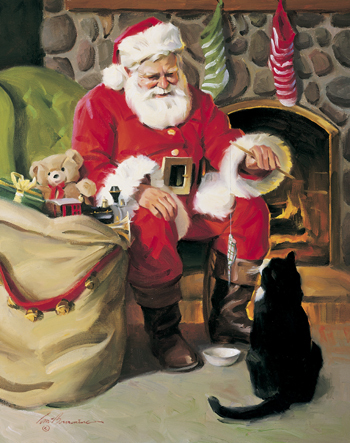 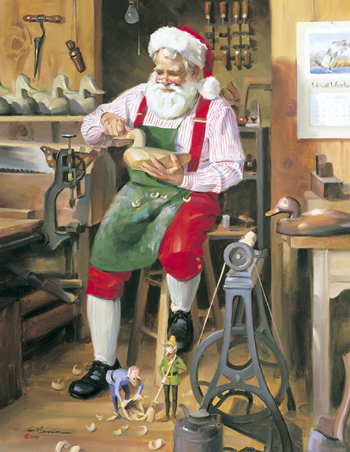 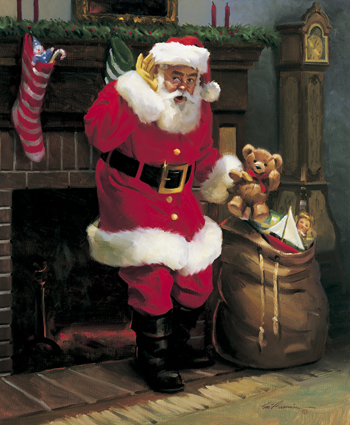 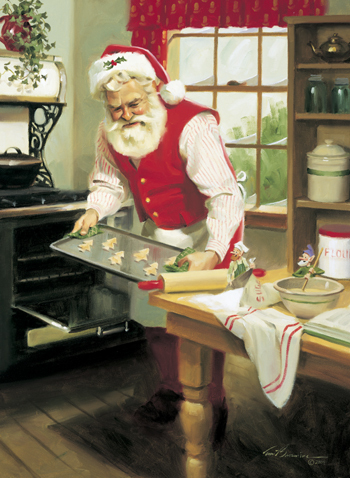 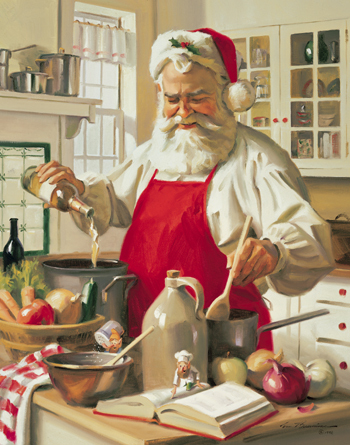 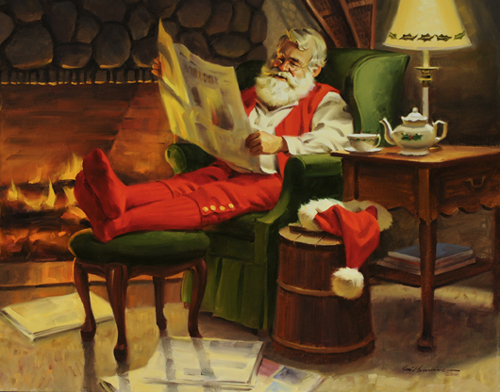 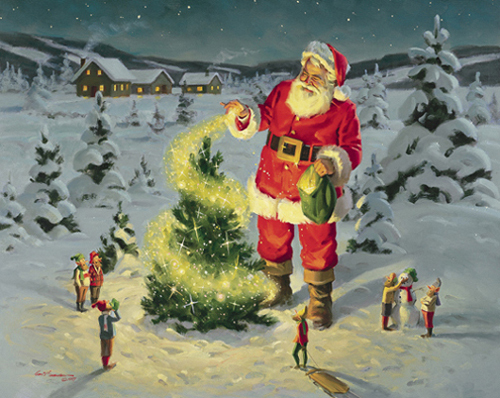 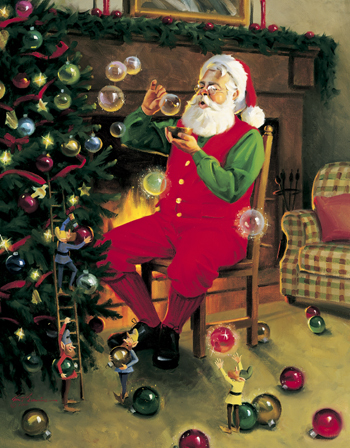 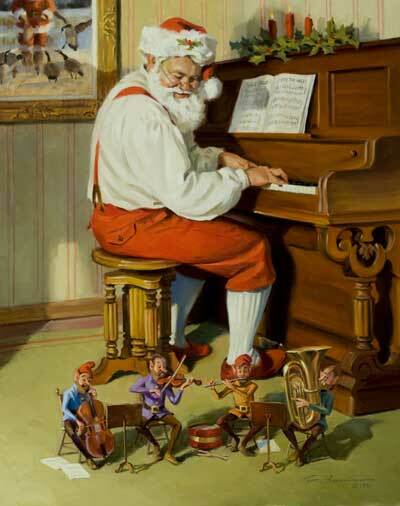 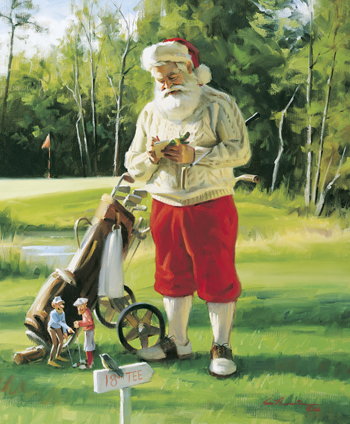 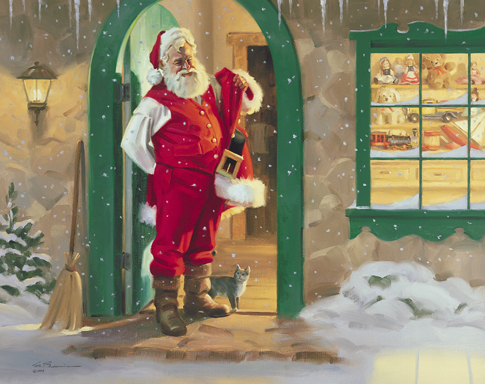 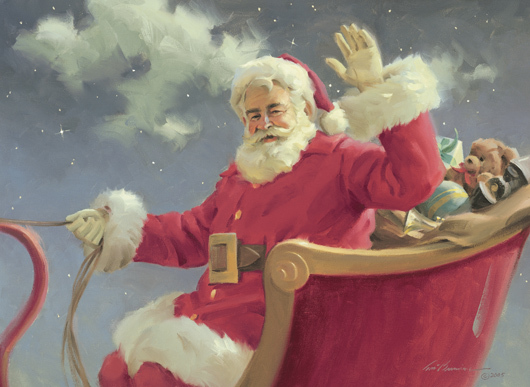 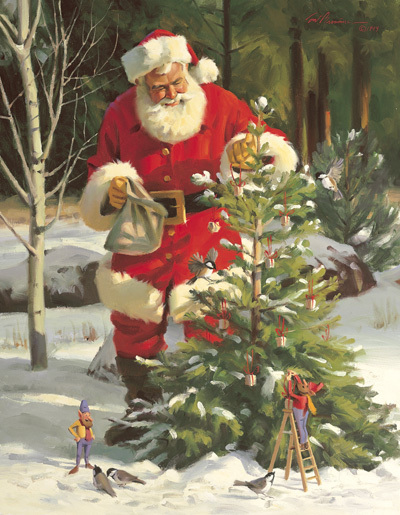 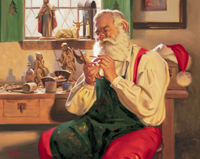 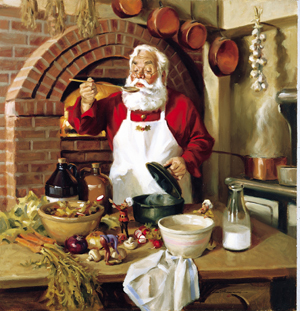 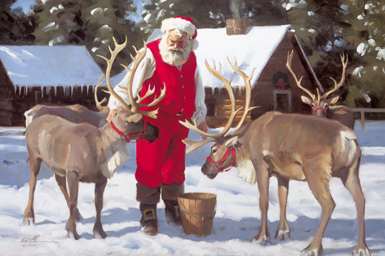 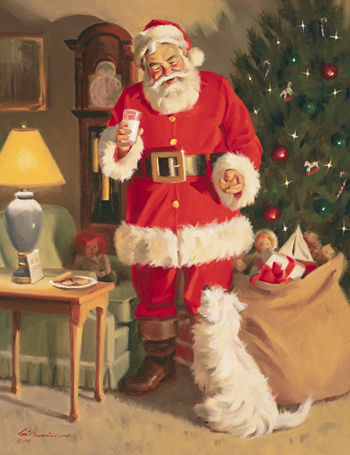 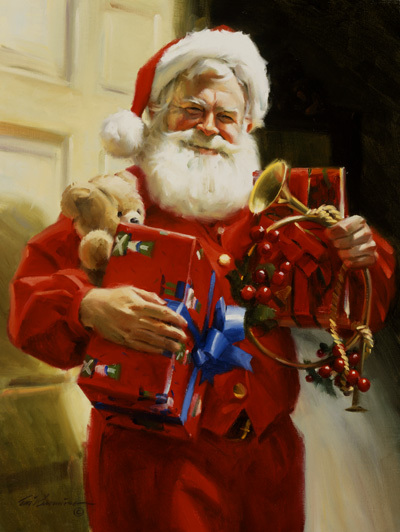 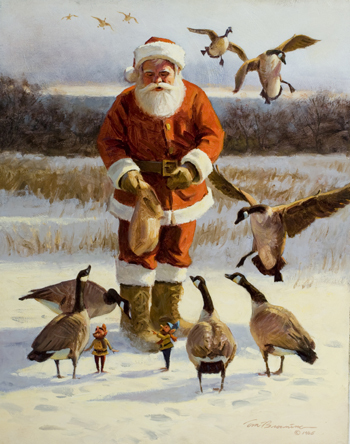 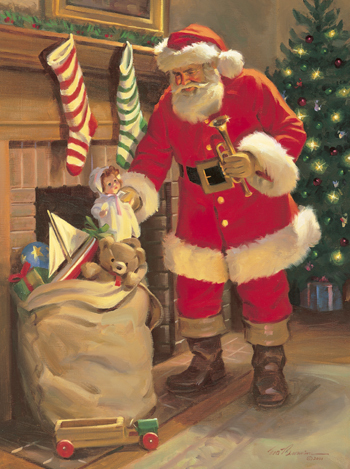 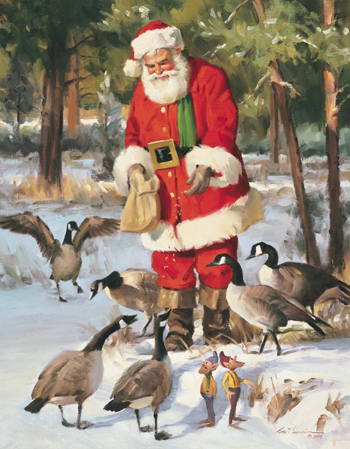 Christmas Spirit 24" X 30"
Tom Browning licenses his original Santa Claus paintings to companies throughout the world. 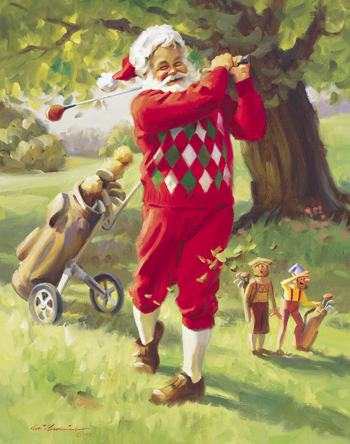 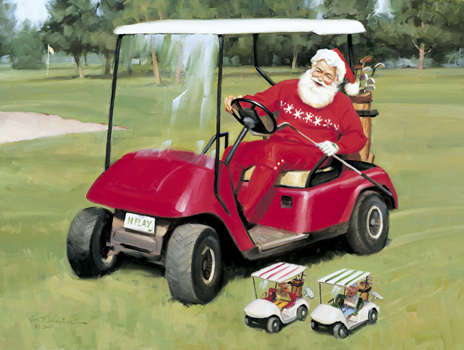 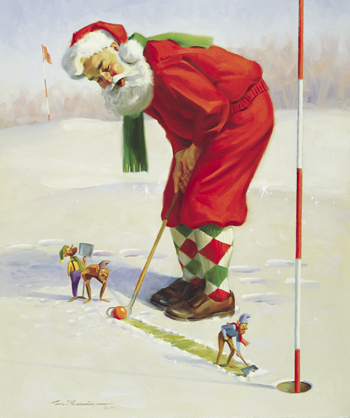 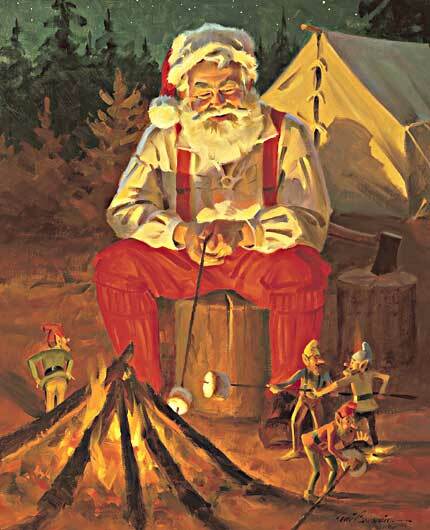 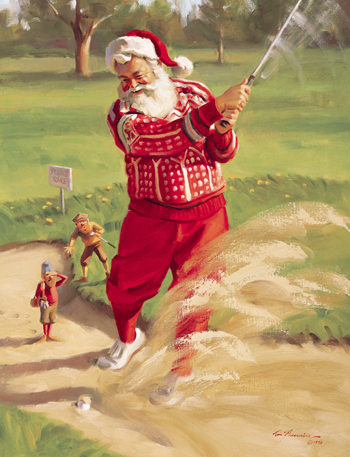 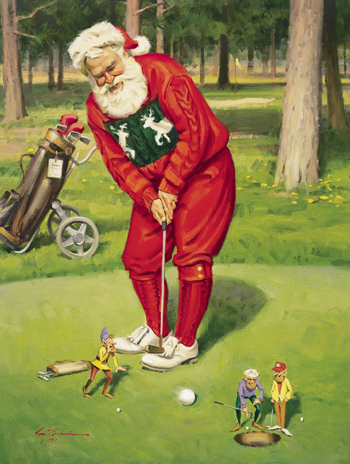 They include Santa at the Beach, Santa golfing, Santa fishing, Santa cooking, Santa playing with animals, Santa at home, Santa camping, Santa with his elves, Santa stirring chocolate in a candy shop, as well as all the latest paintings of his new book Twas the Night Before Christmas by Tom Browning.